X Keyboard Stand plus deluxe bench - Sturdy, comfortable, affordable! 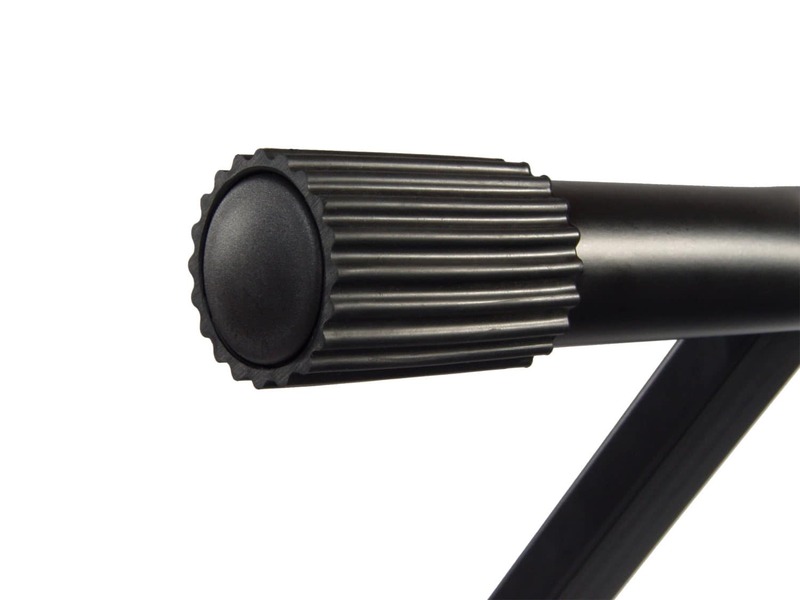 The sturdy keyboard stand offers a secure hold for all standard workstations master keyboards, portable keyboards and synthesizers. 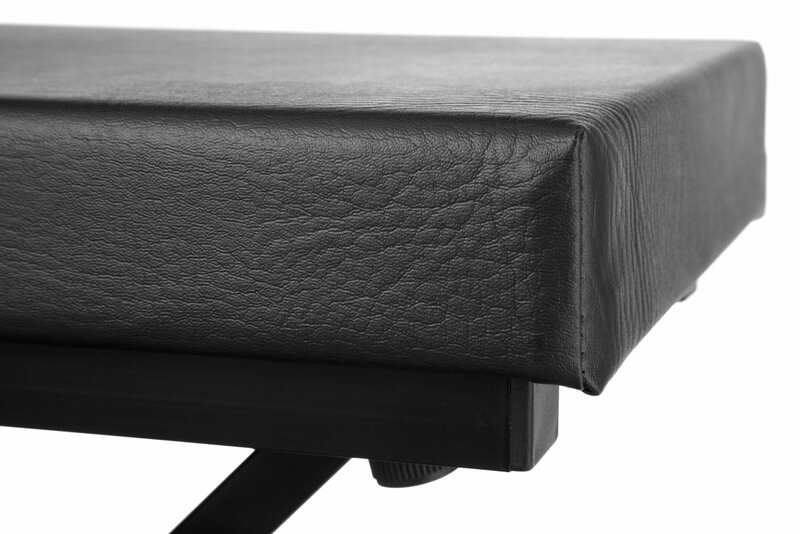 The Classic Cantabile Deluxe Keyboard Bench with padded seat made out of imitation leather is also Included in this kit. 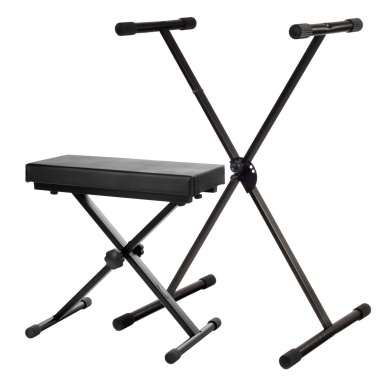 The keyboard stand is ideal for home or stage! 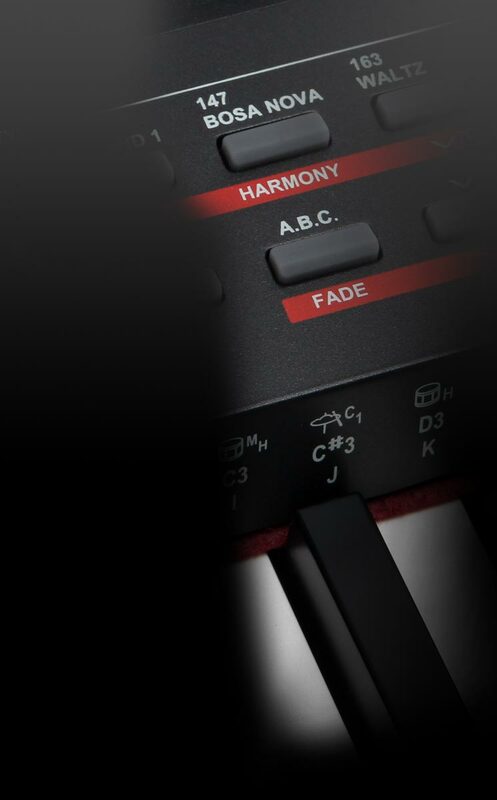 It provides non-slip grip, whether for keyboards, stage pianos and light synthesizers. This X Keyboard Stand is easily ajustable to 5 different heights. Thus, you can achieve an ergonomic and comfortable playing position. The rugged rubber sleeves provide an absolute skid-free and scratch-resistant stand! For a long service life, all metal parts powder coated. 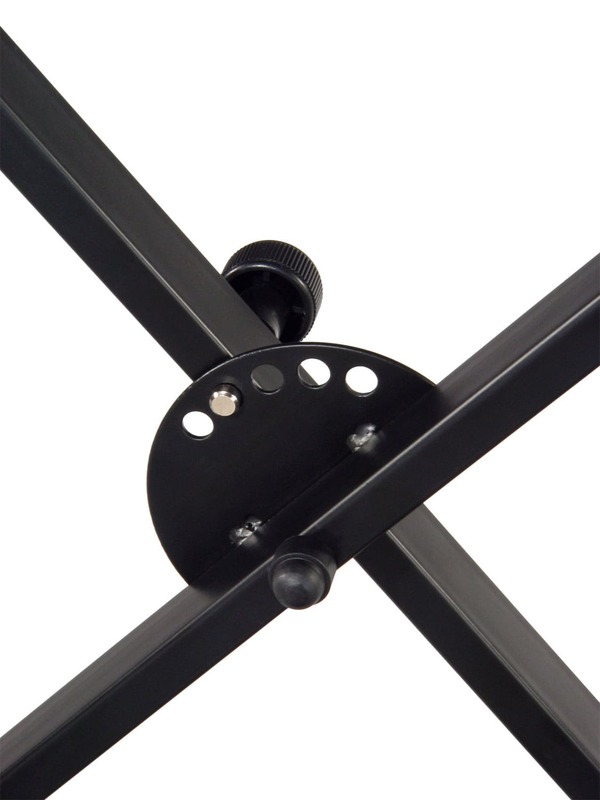 For space-saving transport and storage the stand is easy to disassemble. The allen key is also included. The extra-wide bench, with its 5 cm thick foam padding, is ideal for long playing sessions and it's comfortable, even after long hours of playing. The elegant, easy-care and durable synthetic leather cover not only looks good, but it can be cleaned after a sweaty performance. 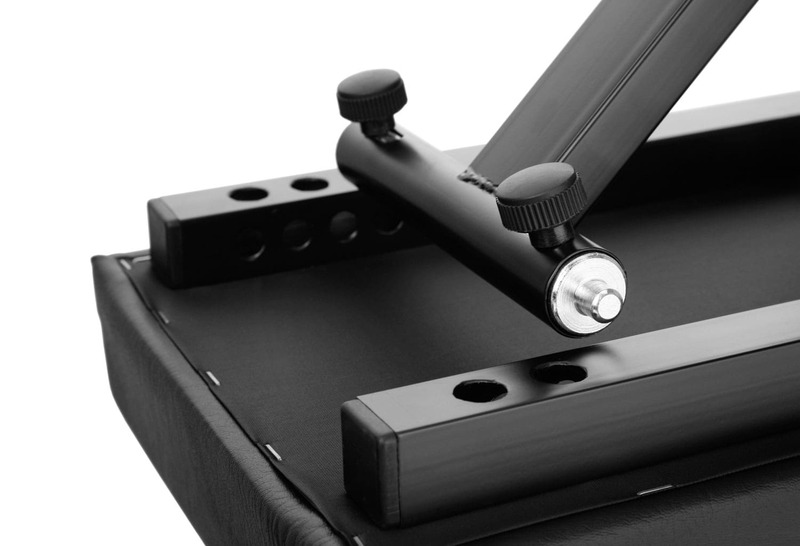 The intelligent feet construction are the highlight of this deluxe keyboard bench. The height of the bench is adjusted by means of a stable system, and four bolts at the bottom of the seat and it's fixed with a big clamp. Ich bin mit der Ware sehr zufrieden. Herzlichen Dank! Alles super gelaufen, Bestellbestätigung war sofort da und der Artikel wurde schneller geliefert als gedacht. War ein Geschenk und ist super angekommen. Vielen Dank.